The 10 pack is no longer available. 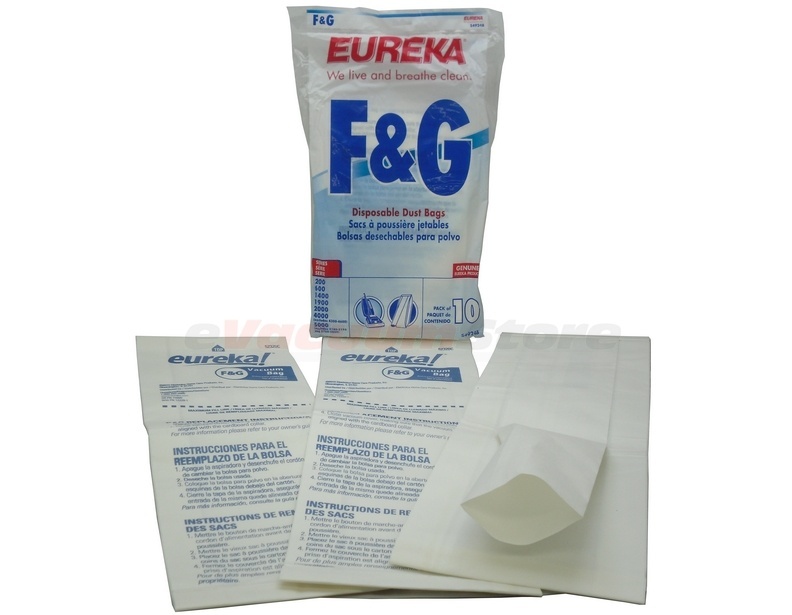 Please see the Eureka F&G 3 pack as a replacement. These are familiar bags for my machine and I was glad to find them on evacumstore along with an obsolete drive belt. The parts are what I need and the belt is one I will order more of now that I know it fits and works. great. Bags fit and sweeper does a good job with the correct bag. Thank you. Local stores did not have F and G bags.Gratified to find them on the internet. Works in our old Eureka. Difficult to find in stores any more. So glad to find them on the Net.